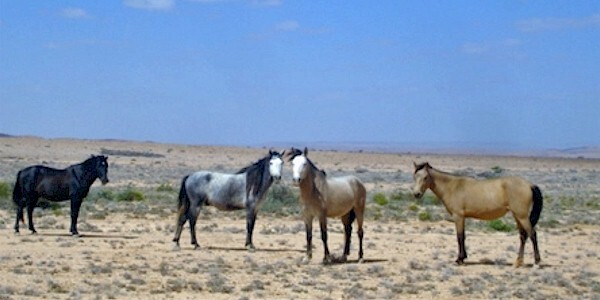 Somali Ponies are from Somalia in East Africa. They are genetically horses but are considered Ponies because they are pony sized (only 13-13 1/2 hh). The severe climate and poor food sources, in Somalia, have contributed to their smaller size. They are bred by most tribes excluding the Esa and Géri. The Dolbanhanta tribe is the breeder of Somali ponies. They have heavy heads, short, thick necks, with inharmonious conformations. They are able to carry light weight very well and for long distances. They have extremely hard hooves; some say harder than the Arabian horses. They can gallop and perform better without shoes because of the terrain and the nature of their feet. They can go three days or longer without water and eat only grass. They require virtually no care. They are extremely hardy and perfectly adapted to their hostile environment. They often are tick infested with the Kudkudaha tick which reaches a size of 1/2 inch in diameter. Somali Ponies are used for riding as well as packing. They are bred for use in intertribal fighting. The mares are most prized for this purpose.